LONDON, Feb 3: The Hubble Space Telescope has made an unexpected discovery of a dwarf galaxy in our cosmic backyard, located just 30 million light-years away, scientists say. 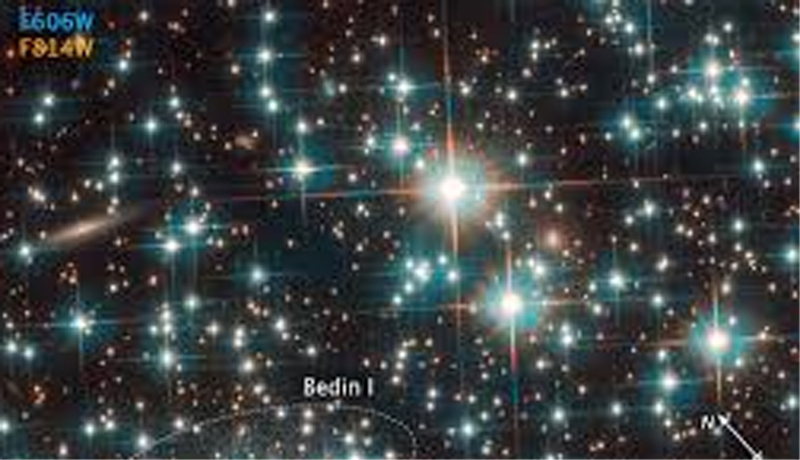 In the outer fringes of the area observed with Hubble’s Advanced Camera for Surveys a compact collection of stars was visible, according to a study published in the journal Monthly Notices of the Royal Astronomical Society: Letters. After a careful analysis of their brightnesses and temperatures, the astronomers concluded that these stars did not belong to the cluster — which is part of the Milky Way — but rather they are millions of light-years more distant. The cosmic neighbour, nicknamed Bedin 1, is a modestly sized, elongated galaxy. It measures only around 3000 light-years at its greatest extent — a fraction of the size of the Milky Way.